Current forensic evidence is indicating that Ransomware, Extortion, and Phishing Attacks are the top attack vectors penetrating companies today. Although not as wide-spread, intellectual property theft and disgruntled employees is causing significant loss for many organizations as well. 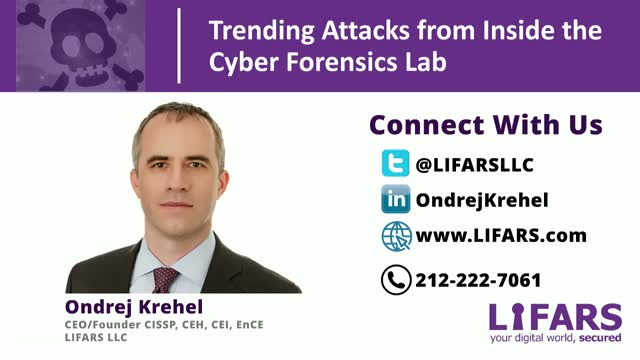 Given the scarcity of talent and resources, learn tips and actionable insights from the forensic lab on what you can do to protect your organization from these most prevalent threats.